For the first time in its history, North Carolina will allow taxpayer funds to go to largely unaccountable private schools, 70 percent of which are religious institutions, beginning in the 2014-15 school year. 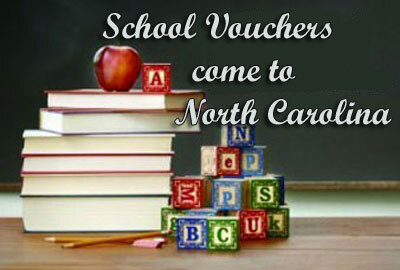 School vouchers, enacted by the General Assembly in July by way of its 2013-15 biennial budget, are formally known as the “Opportunity Scholarships Program.” Lawmakers tagged $10 million of the state budget for vouchers, which will be worth up to $4,200 for eligible families to use at private schools in North Carolina. Applications for the school vouchers will be accepted beginning February 1, 2014. 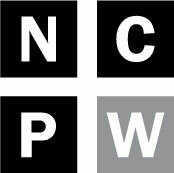 NC Policy Watch today begins in-depth look at school vouchers with a three-part story that will examine how the voucher program will work, concerns about institutional accountability and student success, and a look at some of the private institutions that stand to benefit from the Opportunity Scholarships Program. Who will administer the school voucher program in North Carolina? The North Carolina State Education Assistance Authority (SEAA) was created back in 1966 thanks to the 1965 Higher Education Act, which encouraged states to establish state agencies that would administer and guarantee federal student aid programs. The SEAA, which has a publicly appointed board, also administers state-level grants for private and public colleges. They have always been in the business of higher education, and have never worked with K-12 programs. According to Steve Brooks, executive director of the SEAA, lawmakers were shopping around for an agency that had the capacity to administer the school voucher program. “[The SEAA is] well recognized around the legislature for its work in administering student grants for college. There is no agency that is comparable to us for K-12. So we got asked to do it,” said Brooks. Brooks, who has been executive director for the past 16 years, said he pointed out to lawmakers that the SEAA’s statute specifically directs the agency to only deal in grants and other aid related to higher education—so lawmakers modified the SEAA’s statute during the session, allowing them to administer the school voucher program. The $10 million that has been tagged in the state budget for school vouchers now rests in the UNC budget, in a line item that was previously named “aid to private colleges” and is now called “aid to private institutions,” according to Brooks. The UNC budget is also where SEAA’s operating funds that come from the state reside. The law allows the SEAA to reserve up to $400,000 of the voucher funds for administration of the program, up to the actual cost. The SEAA is working quickly to get ready for February 1, 2014, which is when they will begin accepting applications for the vouchers. The law requires the SEAA to verify the eligibility of a random sample of at least 6% of all applicants. The agency may use the same federal verification requirement process for Free and Reduced-price Lunch to establish rules on verification—but they are still working out that process, according to Brooks. How will voucher funds go from the state to the school? That’s an important distinction. The 2002 U.S. Supreme Court case Zelman v. Simmons-Harris decided that in order for a school voucher program to be deemed constitutional, state aid must go to parents, not directly to schools. In North Carolina, SEAA plans to issue an electronic document to each private school receiving voucher students that outlines who will receive the opportunity scholarships and the dollar amount of each. The parent must come to the school to endorse the document, which effectively means they hand a check from the state over to the school. Once the SEAA receives the electronic document back from the private school with endorsements from all parents, then they will send the school one EFT for all of voucher students. Which private schools will be eligible? But which private schools in the state are eligible to receive voucher students to begin with? That’s where the Division of Non-Public Education comes in. The Division of Non-Public Education, an agency under the Department of Administration, has historically kept a directory of nonpublic schools in North Carolina that are in compliance with the state’s requirements for operation. State law requires that nonpublic schools meet minimum criteria in order to be recognized by the state. According to David Mills, Education Consultant for Conventional Non-Public Schools, this directory will be given to the SEAA as the list of eligible private schools to receive voucher students. So what does it take for a private school to get on this list? According to Mills, there are several simple criteria. “Well, the schools must send us their name, mailing address and the names of their chief administrative officer and owner of the school, as well as annual fire and sanitation inspection records,” said Brooks. Then, the school must run on a regular schedule for 9 months of the year, keep immunization records for each child, and give a nationally recognized achievement test for children in grades 3,6,9 and 11. Does it matter which test? “It just needs to have a national norm,” said Brooks, which means that the data must be comparable against scores taken by children all across the country. Student performance on these tests must be provided to the Division of Non-Public Education, but is not public record. Currently, there are 698 private schools on DPE’s list of compliant private institutions. David Mills is the lone staff member responsible for conducting site visits to ensure that the schools are operating as they say they are. “I try to get out to all of them once every three years,” said Mills. That would mean Mills would need to visit roughly 233 schools each year that are spread out over corners of the state. The Division of Non-Public Education has no director at this time. That position is exempt, said Mills, and he suspects the Governor will appoint someone to the post soon. “There will probably be an interview process, but I’m not sure,” said Mills. Who will receive school vouchers? For the first year of the program (and remember, at this point in time there is funding for only year one), the eligibility criteria and the system for awarding vouchers are both pretty simple. To be eligible to receive a school voucher, you must live in a household with an income that does not exceed the threshold to qualify for the federal Free and Reduced-price Lunch (FRL) program. For a family of four, that income limit is $43,568. You must also be a full-time student without a high school diploma who attends a public school during the spring 2014 semester. Also for year one only, temporary rules will be established to give out vouchers. Those rules may include a lottery system. Is a child who was adopted within the last year. Any remaining funds go to other eligible students. How much will school vouchers be worth? The short answer is that they’ll be worth up to $4,200 per year, per student. But it’s actually a little more complicated than that. For year one, it’s straightforward. Eligible students will receive $4,200, unless tuition and fees are less than that amount. But for year two, there is an additional stipulation. If you are an eligible student who lives in a household with an income that exceeds the qualifying threshold for the federal FRL program, then you may receive a voucher that is worth up to 90% of the cost of tuition and fees at the private school you plan to attend (which could also equal $4,200). Many private schools charge tuition and fees that exceed the voucher amount available to students. When the school voucher legislation was being debated in the House Education Committee back in May, Rep. Rick Glazier presented to his colleagues the average costs of private elementary, middle and high schools in the state. Those average costs ranged from $5,000 at elementary schools to $9,000 at high schools. Lawmakers have said before that it is their hope that those schools will find ways to help students bridge the gap between the voucher amount and the cost of tuition and fees. Specific schools willing to go the extra mile for voucher students have yet to surface. In anticipation of the number of students who will leave the public school system to take advantage of the school vouchers, the per pupil allotment of funds based on the Average Daily Membership (ADM) will be decreased by $11,797,941 in 2014-15. The difference between that figure and the expense associated with school vouchers is nearly $2 million, a “cost savings” for public schools, Rep. Skim Stam has said previously. But a fiscal analysis by legislative staff shows that school vouchers will cost the state between $7 million and $23 million over five years, because many voucher students would have paid for private school out of their own pockets, anyway. Private schools receiving school voucher funds will be subject to minimal criteria to comply with state laws and will administer assessment tests that will be incomparable with what the public school system uses to measure student learning gains. These issues raise questions about how to ensure that private schools receiving taxpayer funds will provide high quality educational experiences ad be accountable for both their successes and failures. Another key question also arises: is it a violation of the first amendment when private schools that have a clear religious agenda interwoven into their educational program also receive taxpayer funds? That issue has arisen in other states, but it’s not clear yet how this would play out in North Carolina. Stay tuned when we explore these issues in Parts II and III of School Vouchers Come to North Carolina.